Every tourism board travels the globe to lure visitors to its destination. But, few do it under full sail. 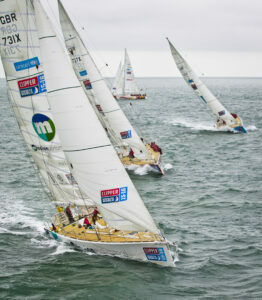 This week, Visit Seattle’s namesake 70-foot yacht joined the Clipper Round the World Yacht Race. The race started in London August 30 and will take 11 months to conclude. The Visit Seattle yacht and 11 others will log some 40,000 nautical miles and visit 14 ports in that time. Our mission is three fold: win the race; benefit Unicef (the official race charity); and promote Seattle as a tourism destination and global center of business around the world. 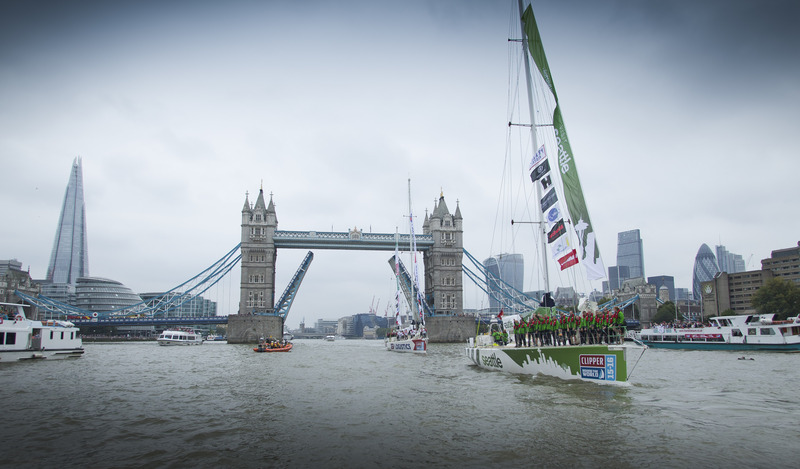 Led by Skipper Huw Fernie, a crew of 23 will conquer some of the world’s most challenging seas. 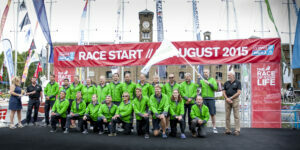 To make it really interesting, nearly half of crew are novices and have never sailed prior to completing a comprehensive training program ahead of their adventure. Four crew members are Seattleites. They and their crew mates will be chronicling their race progress via blog posts and social media. You can learn more about them and follow the race on the Visit Seattle web site. We’ve got a real-time race tracker there, as well as social media links. Here’s the best part. Seattle will be one of 14 host ports throughout the race, welcoming the crews of all competing yachts in April 2016 at the end of the Mighty Pacific Leg 6 from Qingdao, China. Thanks to our hosts – the Port of Seattle’s Bell Harbor Marina and the Seattle Historic Waterfront Association. And thanks to the Seattle Sports Commission for the challenge and all the coordination! We hope you’ll follow the race and cheer on Visit Seattle’s yacht in the coming months. Dave Blandford is Senior Vice President of Public Affairs at Visit Seattle. His job description seamlessly dovetails personal pursuit: travel and travel advocacy; food, wine, craft beer, cool cocktails, strong coffee and lots of it; and alternating stints of outdoor rec and urban culture. Provenance: Alki Beach, Seattle.